If you are an avid reader of the Contrado blog, then you will already be familiar with our artist profile series. There is where we take a closer look at a select group of our Contrado Creatives, and uncover more about their art, their style, and their background. As our designer marketplace continues to grow and develop, so do our artists. We are fortunate enough to work with creators from all areas of the art world, and we want to show their talent off to you. 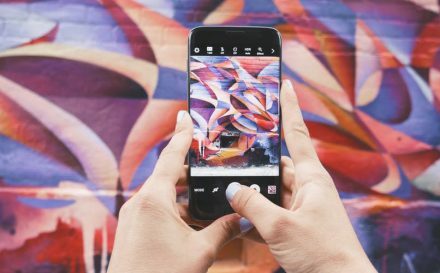 Each month, we will be looking into a particular genre of art and design; from Abstract and Expressionism, to illustration and graphic design, and everything in between. This month, we are kick-starting our art and design series off with surface pattern design, and 5 of our pattern creators. 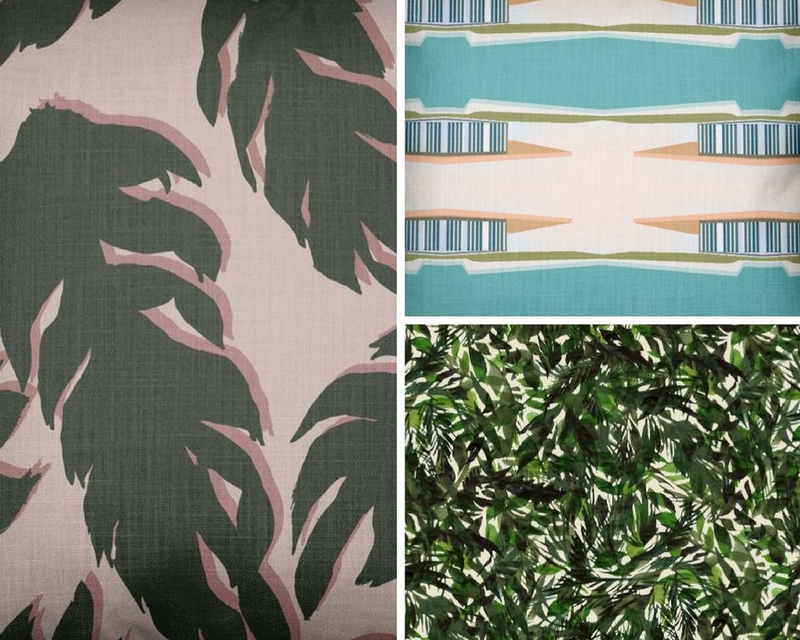 What is Surface Pattern Design? Surface design is everywhere. It is something that is all around you. A designer created the patterns in pretty much everything you own, wear, and use. From your bed sheets and your towels, to the clothes you are wearing. Before there was a product, there was a pattern design for it. There are so many kinds of techniques to create patterns. Relief printing, where blocks are carved to create unique prints and patterns, and screen printing are just two examples. The patterns that are created can be digitally manipulated to create a repeat, which is always such a popular type of print. 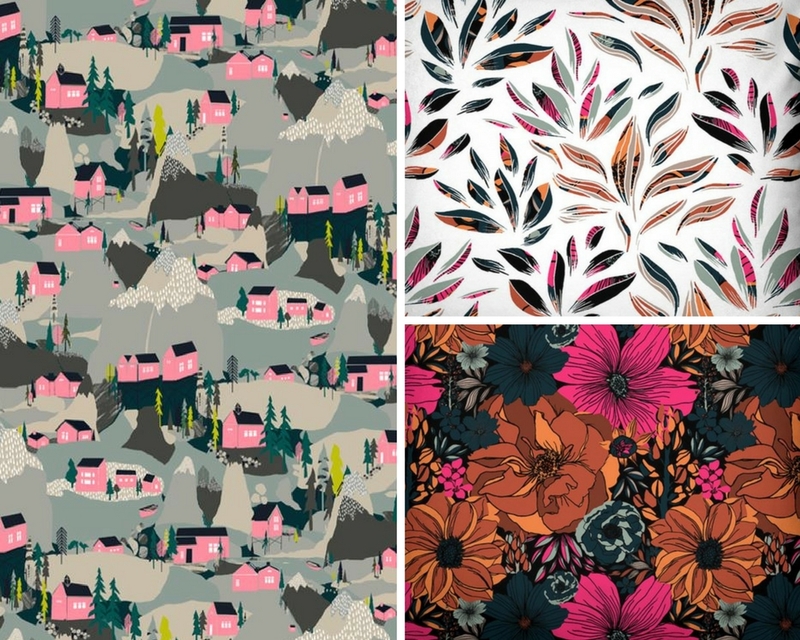 What does a surface pattern designer do? These artists create patterns and repeats, which are used to give life, energy, character, and movement to surfaces. It is applied to pretty much everything you see in your daily life, which is why it is such an important genre of art. The majority of surface pattern designers have a specialist area or style, which allows them to make their mark on the world. 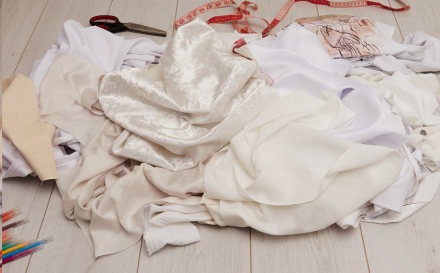 Many are also textile and product designers, which gives them the insight to see how their patterns will look from conception to adorning the final piece. Understanding trends, colour forecasting, and fashion trends are all key to becoming a successful surface pattern designer. When you are able to combine this knowledge with your own spin and unique style, then beautiful things can happen. 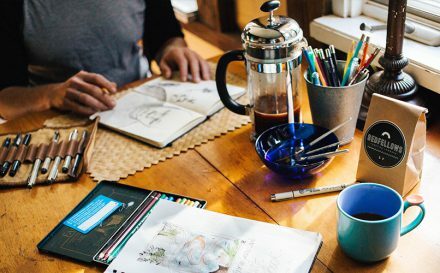 These 5 Contrado Creatives show us how it is done. 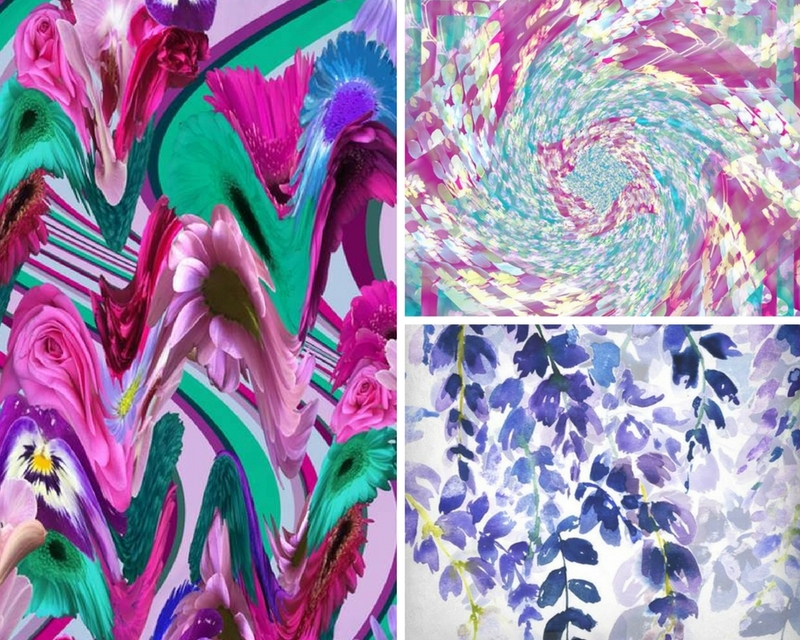 Ellie creates beautiful prints, that have vibrant colours and alluring designs. Featuring both digitally manipulated and stunning hand-drawn creations, her designs are often highly detailed and appeal to the contemporary market. Ellie learnt how to develop her drawings into prints using software such as Photoshop and Ned Graphics. Photographic elements are also included in her work, and Ellie works hard deciphering the current market as well as future trends. This propels her creations and shows her skill at interpreting what designs will make their impact on the world. Original and inspiring, Ellie plans her designs perfectly, right down to her choice of motif, colouration, and the repeat style. Fashion and interiors print designer Gabriela originally started as a product developer in the fashion industry. It was several years later that she discovered her true passion and found her real place in fashion; working as a print designer. Gabriela uses several tools to create her distinct and energetic prints. Pen, pencil, water-colour, paper, Photoshop, Illustrator, photos, ink, oil pastel…the list goes on. Her prints are impactful, modern, and fun, and will appeal to the fashion forward, individual woman. Her detailed creations show an understanding of the trends around her, but they also stand out from the crowd. From captivating bedding and homeware to bold fashion statements, Gabriela’s inspiration comes from nature, travel, fashion, and the world around her. If you are a trendsetter, then this is a designer you need to take note of. Inma specialises in creating surface prints for homeware, textiles, and wallcoverings, for both the fashion and interiors industries. Her experience in textile designs spans more than 15 years, and her stylish pattern prints have been produced worldwide for a huge range of brands; from John Lewis to West Elm and many more. 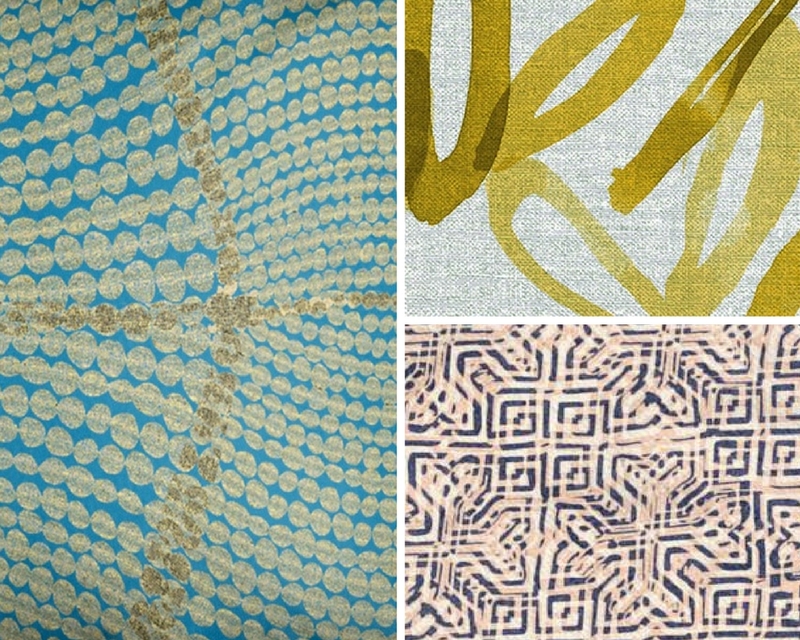 What makes Inma’s patterns stand out so beautifully is the simple yet statement patterns. Her trendy prints are inspired by the organic shapes found in nature, tribal patterns from around the world, the minimalist Zen, and geometric shapes. These combined have become her distinct style over the years and makes her creations completely one of a kind. 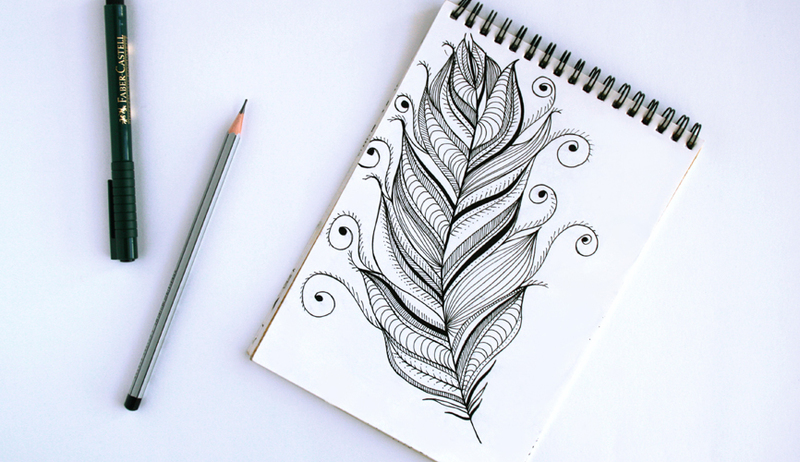 Inma’s pattern designs always start with sketches or photographs, which are developed with ink and pencils before being manipulated into new layouts with motifs on her computer. French born textile designer Joyce has been working in the design industry for several years. With a unique style that has taken her time to implement, Joyce’s creations are sharp, bold, and graphic, at times with a geometric twist. 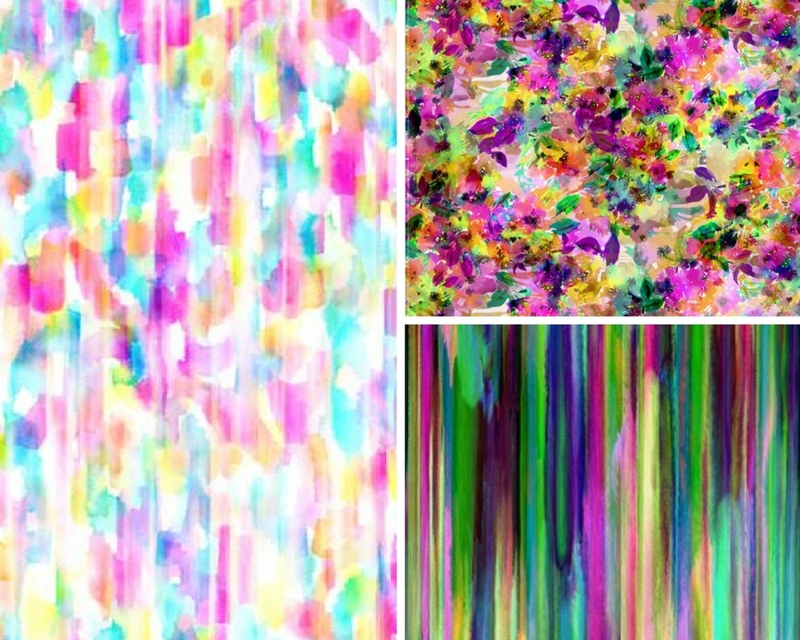 Other distinct features in her patterns are colour, vibrancy, and eclectic themes. Her designs have a certain amount of humour to them, but she also likes to stay on top of trends to ensure her patterns are always relevant. When it comes to techniques, Joyce specialises in digital integrated practises within textiles. She uses digital software, processes, and techniques to help manipulate, repeat, and push her designs further. Some of these include; Photoshop, digital printing, digital embroidery, jacquard, and laser cutting. Although this digital approach is important to the final look of Joyce’s designs, they always start out the same; with research, sketches, and painting. The digital touch is only introduced once she is happy with the handcrafted element. Fashion and Textile Design student Emily creates incredibly beautiful and wearable prints that leap off the canvas they are printed on. Her prints always begin with drawing by hand using a range of mediums. These drawings are then scanned into design tools such as Photoshop, where they are manipulated, layered, and other edits such as colouration. Once Emily is happy with the design, she works on creating a repeat. The final look is always captivating and bold. Repeat patterns look so powerful with Emily’s vibrant designs. Experimenting with different drops and layouts really pushes a print onto another level. 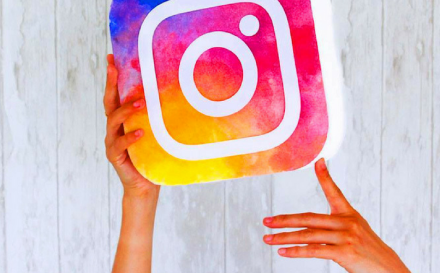 The colour palettes and the background complement each other perfectly, while the subject matter works for a huge variety of lifestyle products. 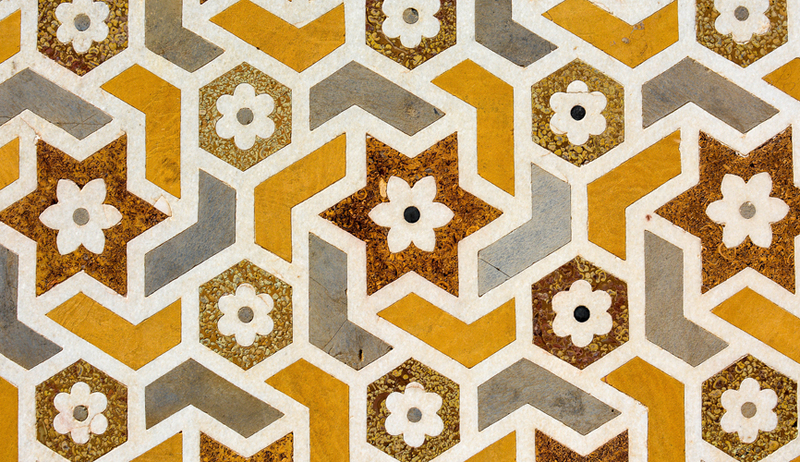 Surface pattern design colours the world around us. It adds personality and style to all areas of our life; from the clothes we wear, to the furniture in our house, to the wrapping paper we use to wrap gifts in. If you have enjoyed meeting this selection of designers from Contrado, then click on the link below to discover even more. We’ll be back next month with another art movement and even more exciting #ContradoCreatives.